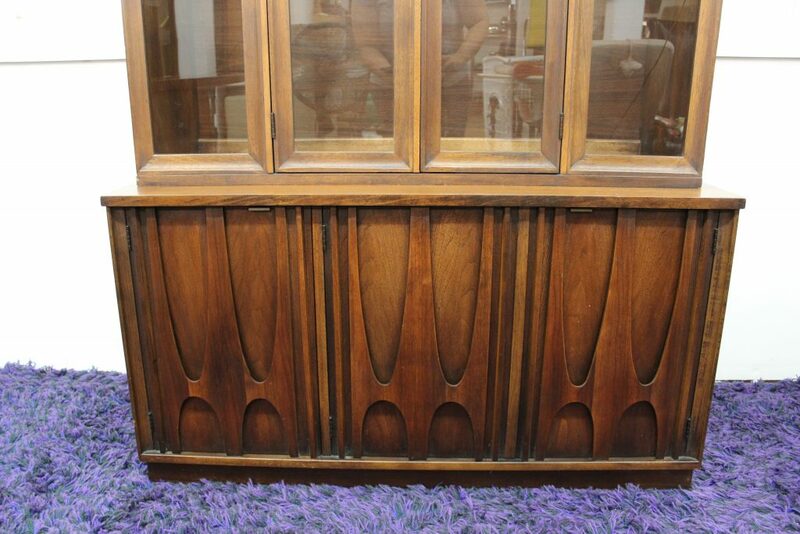 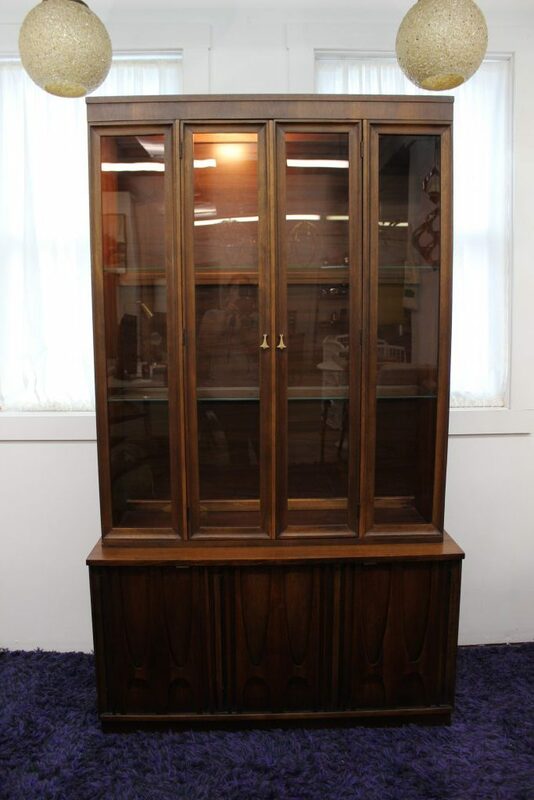 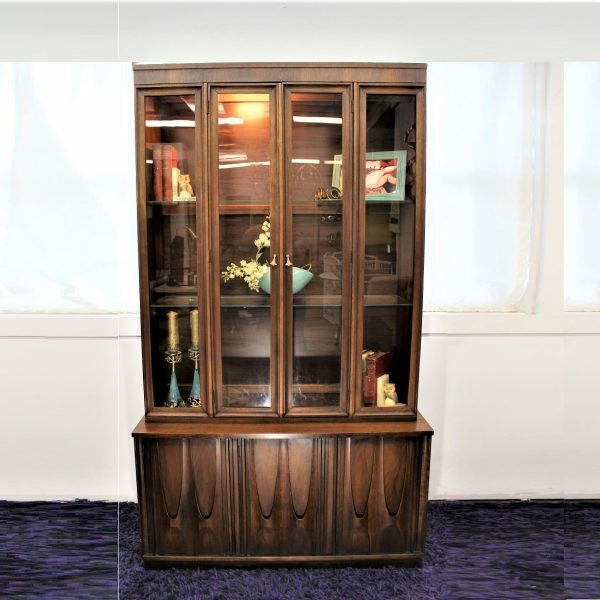 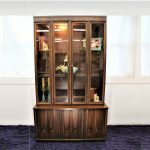 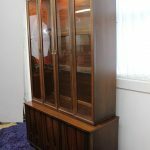 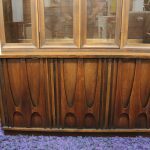 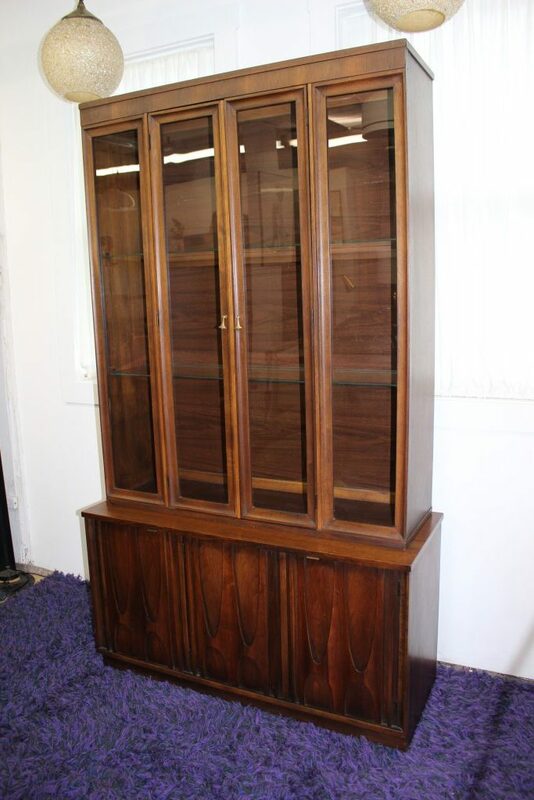 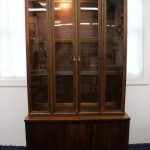 Handsome as ever this Broyhill Brasilia small china cabinet comes to you from an estate in Massachusetts. 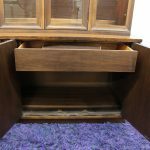 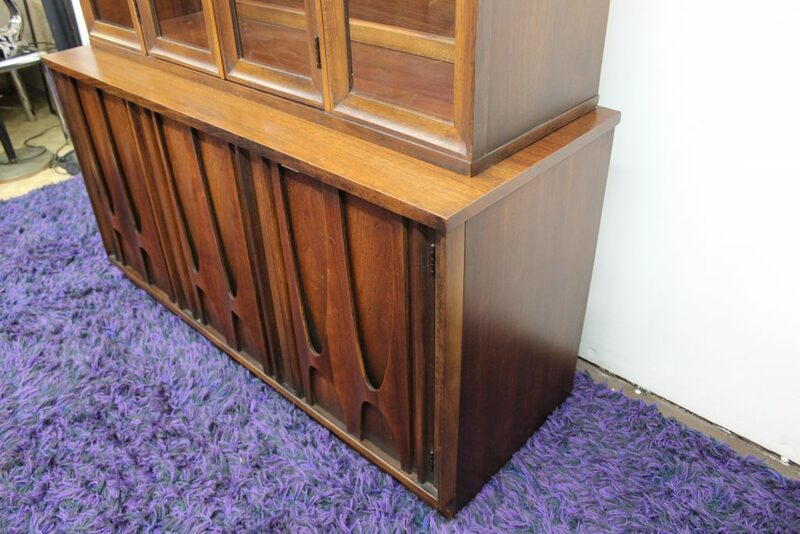 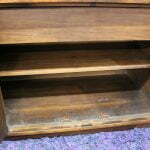 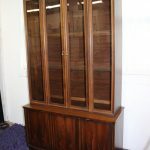 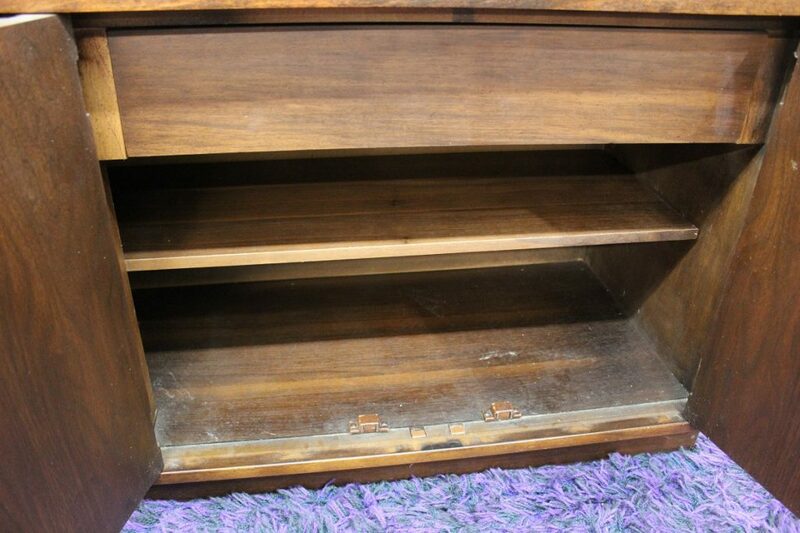 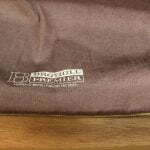 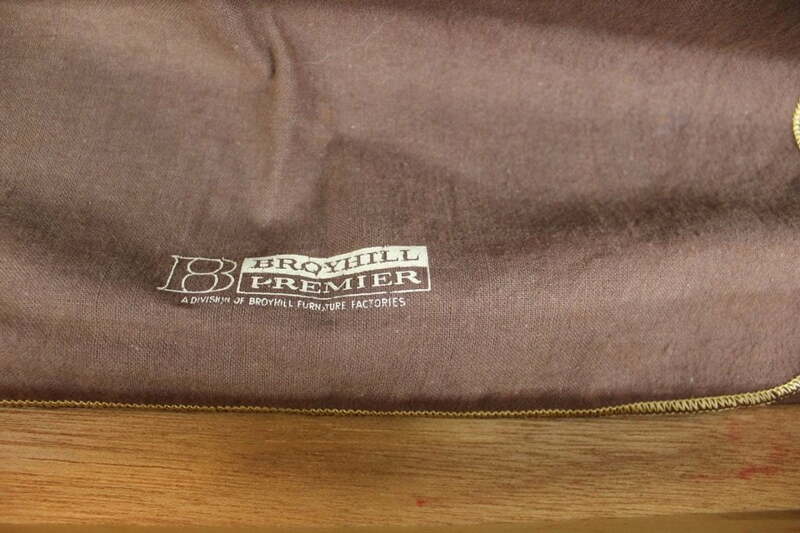 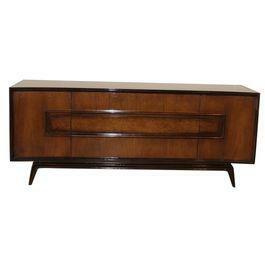 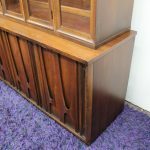 The manufacturer is Broyhill Premier and this piece is composed of 2 separate pieces. 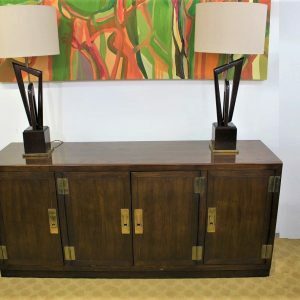 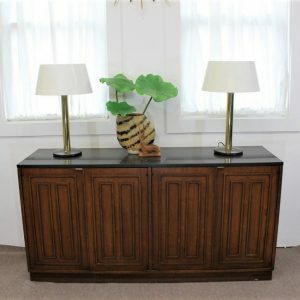 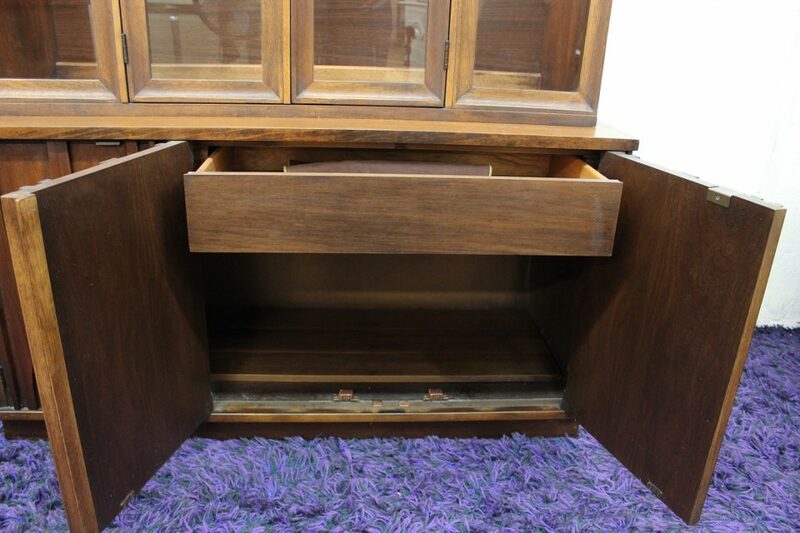 The lower credenza is model and the top part is . 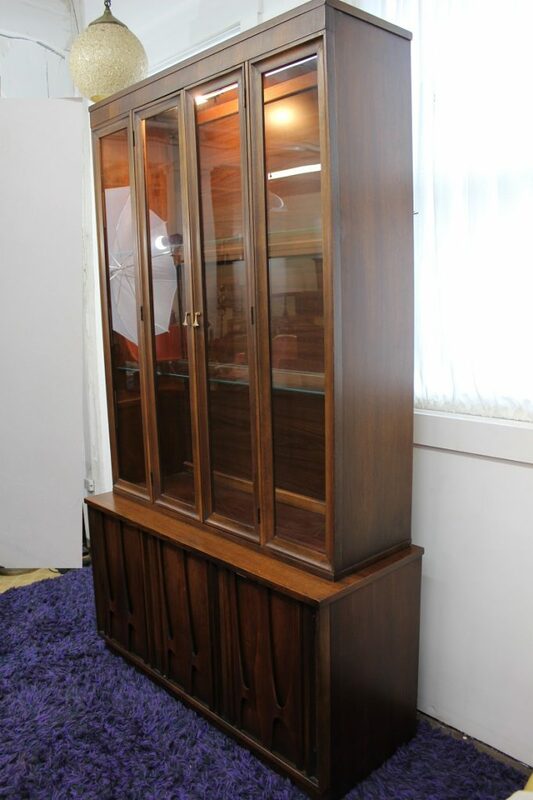 The top has 2 doors that open in the middle and the sides are stationary glass panels. 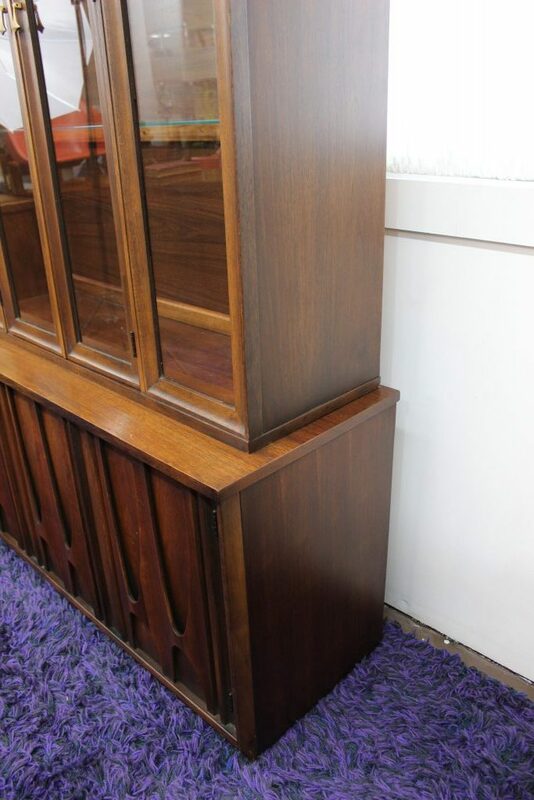 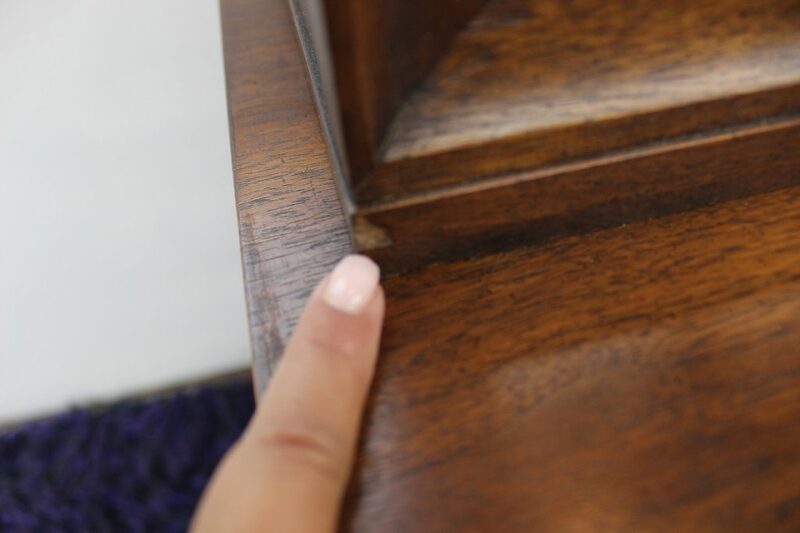 The top has a light that someone added along its lifetime as well as glass shelves instead of the wooden ones in order to get the light from top to bottom. 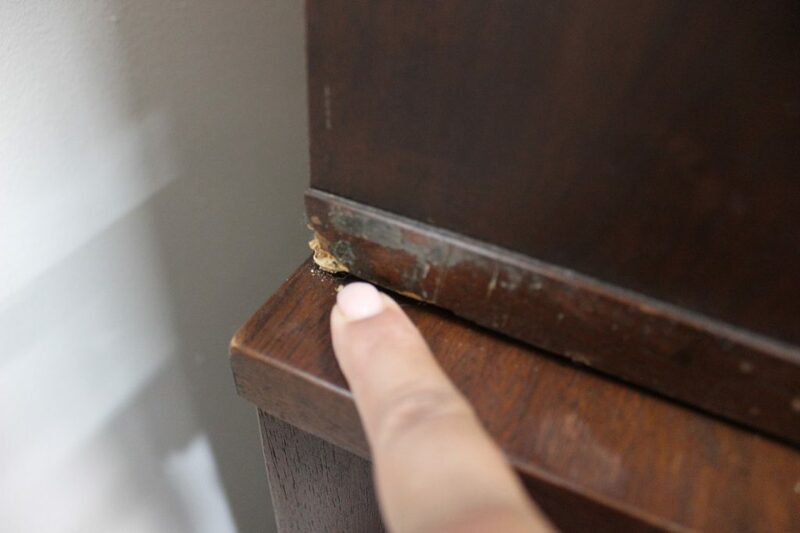 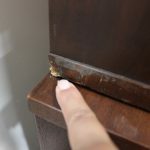 It has minor wear and tear (please see pictures). 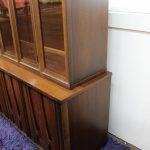 This combination is one of the smallest pieces of the Brasilia line. 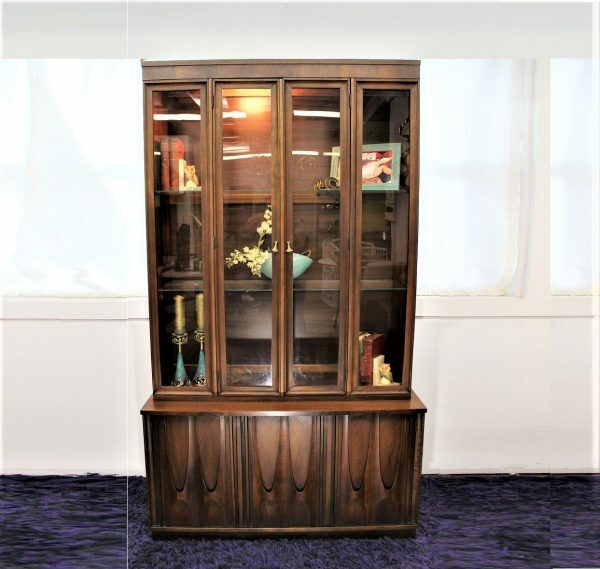 The bottom piece measures 60″ x 19″ x 31″ high and the top piece measures 56″ long x 13″ deep and 47″ high. 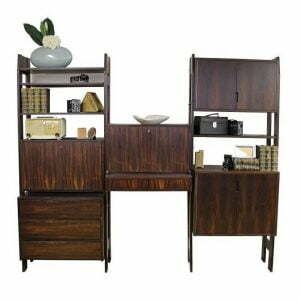 Making it the perfect addition to any small apartment, condo or small house.